Near the border of Vilar Formoso, inside the walls of Almeida, the Pousada de Senhora das Neves shows, besides its modernity in the interior ambiance and the comfortable wide spaces, the historical and cultural fortune of the village, that is National Patrimony. 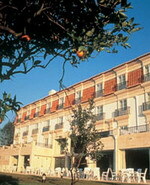 The Pousada was built on 1985, in the place where the former prisons were located. The council of Almeida presents some evidences of human presence since the Palaeolithic, having been detected kind of cities of the Bronze and Iron Era, as well as information about the Roman presence. Located in the centre region of Portugal, near the Vilar Formoso border and within the old walls of the village you will find the Pousada of Almeida, Nossa Senhora das Neves. It was built on 1985, in the place where the former prisons were located. This charming hotel reveals, in spite of its modern atmosphere and spacious rooms, the historical and cultural grandiosity of the village of Almeida, now a classified National Heritage. Set on the slopes of the Esperança Mountain, at just over a km from the town of Belmonte, the birthplace of Pedro Álvares Cabral, the Pousada de Belmonte was built by renovating the ruins of the former Nossa Senhora da Esperança Convent. Before the monastery this was the site of a hermitage founded in the thirteenth century, and ancient pagan cults probably used the same location. The Cabral Family were patrons of the hermitage, and the image of Nossa Senhora da Esperança today on display in the parish church of Belmonte is thought to have been carried to Brazil by Pedro Álvares Cabral. 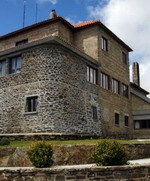 The Pousada has preserved the Monastery’s heritage intact (the site was classified as a building of public interest in 1986), including an amphitheatre architecture layout in the pine woods on the slopes of Esperança´s Mountain, and stunning landscape with views over the Cova da Beira region and Estrela’s Mountain. The Pousada Convento de Belmonte results from the renovation of the former Nossa Senhora da Esperança Convent. Inside, the chapel and sacristy have been converted into a lounge and bar a good example of the harmonious blend of historical architecture and modern construction and comfort. 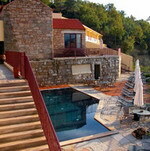 The Pousada hotel has preserved the Monastery’s heritage intact (the sight was classified as a building of public interest in 1986), included amphitheatre architecture layout in the pine woods on the slopes of Esperança´s Mountain, and stunning landscape with views over the Cova da Beira region and Estrela’s Mountain. 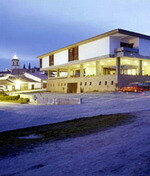 Guests can use this historic luxury hotel as a base for exploring the many historical monuments is the region, including the castle, the burial vault of the Cabral family, the Jewish Quarter, as well as the natural beauty and folk traditions of Serra da Estrela (Estrela´s Mountain), one of the Europe’s most important natural reserves. Pousada was from Almadas Family and was building in XVI century. In the first half of XIX century it was transformed in an inn, and was an orphanage for poor children and an asylum for old age persons without homes. 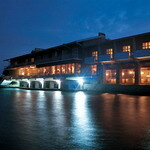 This Palace was completely reconstructed, and has been transformed into a beautiful Pousada. Santa Cristina, the name was given to the Pousada, was a young roman girl of the outskirts of Bolsano, in the Toscânia, that after being baptized, refused to sacrifice herself to a statue of Apolo and to distribute gifts to the poor people. It was the 4th Pousada built in Portugal, by the Architect Rogério de Azevedo, using stone of the region, and it was decorated by Maria Keil. The inauguration it happened in 1948, with only four rooms. 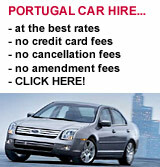 Located on the top of the Serra da Estrela Natural Park, enjoys a magnificent view over the river Zêzere Valley. It is the perfect place for peaceful walks, followed by relaxed conversations by the fireplace. Guests can either practise winter sports during the season or have a refreshing swim in the summer, in the natural lagoons. The first reference to the name Aveiro, dated January 26th 959, is documented in a donation by the Countess Mumadona Dias to Guimarães Abbey of “Sui terras in Alauario et Salinas”. In the 18th century, Dom José I raised the town to the status of city. A century later, the people of Aveiro were active in the liberal struggles while activist José Estevão played a prominent role in defining the final location of the point of entry for the shipping port as well as in planning for the Lisbon-Porto railway line to pass through Aveiro. The first known charter of Aveiro is Manueline dated of 4th August 1515, reported in the book “Livro de Leituras Novas de Forais da Estremadura”.